Not everyone has the technical knowledge and the time to be able to build customized, effective websites. 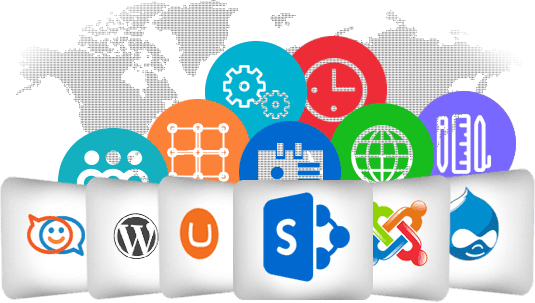 Content Management Systems are web-based applications such as WordPress and Joomla that allow users to easily create custom-built, professionally-powered website without the need for ground-up coding. These systems allow for easy creation and distribution of content. However, even these platforms require the knowledge of a few skilled professionals in order to fully take advantage of the power systems. If you choose Samaritan InfoTech to build your website through content management systems, and you will see how easy it is to publish, update, and maintain content on a website that is modern and professional. Outsourcing your content management system requirements to us is the perfect way to optimize your website budget, and create a great website at a minimum of cost. Samaritan InfoTech has the skills and the experience to use content management systems in order to generate outstanding websites that are not only lovely and intuitive but ideal for your particular business and situation. Our engineers and programmers have large amounts of experience with many different systems and can create a website that is prepared to deliver great content quickly and without issues that can arise with in-house website creation. An enterprise content management software promotes collaboration within the organization workspace with the integration of records retention functionalities, management of digital assets, and document management and providing access based on roles to the company’s digital assets for the end-use. Samaritan Infotech also offer functionality that automates the entire thing. Using a built-in workflow management component, your organization saves time and money by reducing photocopying, hand delivery and repetitive dragging and dropping. Whatever you need to do online, we provide a wide array of web development experts to make it happen. As an expert Content Management System development company in Indore, we specialize in building quality web applications such as content approve, moderate, manage, delete, place new content/image/videos and more. Our CMS development has seen a vital shift over the last few years. With technology advancements and deviations in programming landscape, the demands of business functionalities have changed. Nowadays, web services are becoming more and more popular with increasing mobile access and development of CMS. Anyone who would come up with a website will definitely expect it to grow to attract more and more visitors. We have our name popularized by developing supreme web applications for CMS, e-commerce and e-learning S/W, CRM, business process automation and so on. Our applications adhere to the latest in web standards and are known for their usability, quality, security etc. 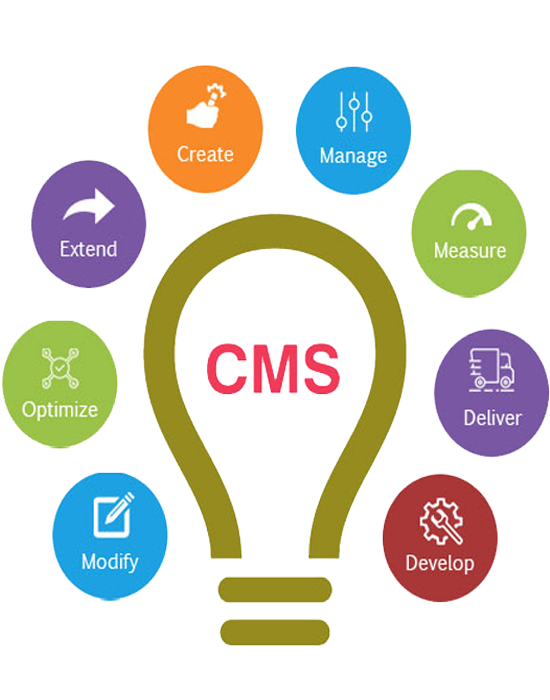 Here have why you have need CMS and what will be basic advatages of Samaritan CONTENT MANAGEMENT SYSTEM. we offer custom CMS as per business need typical features with wordpress, Joomla, Blogger etc. A content management system enables you to create, manage, and deploy content on web pages. It requires almost no technical skill or knowledge. Within minutes, you can get a new site up and running. Samaritan InfoTech CSM are very SEO Friendly as per today Trends, Business trends, Yearly trends. Our CMS have much optimized according to major search engine such as Google, Yahoo, Bing and more. CMS platforms are appealing targets to hackers for a wide variety of reasons, mainly the number of weak entry points – such as the numerous plugins available for CMS like WordPress, Blogger. Samaritan has an open and shared workspace that connects people to the ideas and information they need to build momentum and do their best work. Aside from saving you both time and money, investing in a CMS offers countless benefits. In fact, it can be one of the most beneficial investment in your business’ online presence. With CMS we can update multiple websites and web pages instantly and create high quality browsing experience by producing uniform changes effectively across all web pages.